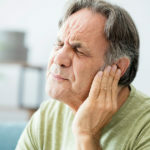 If an individual notices that a few of his or her teeth may look longer or experiences tooth sensitivity to hot or cold foods, then the indiviudal’s gums may be receding. When gums start to recede, there is a fraction of the tooth’s root that is exposed. When an individual has gum recession, it can appear out of no where because it happens slowly. Gum grafting can be an effective treatment for individuals with receding gums because it can help counter further loss of gum tissue. All of these factors can increase an indiviudal’s chance to develop gum disease. However, if an indiviudal smokes, then he or she is four times more likely to develop periodontal disease than individuals who do not smoke. Chewing tobacco and other tobacco products can also increase an individual’s risk for developing gum disease. There are other factors that can cause gum recession, which include poor brushing techniques. If an indiviudal puts too much force on his or her teeth from grinding, then it can also cause gum disease. Individuals who have lip or tongue piercings are also at an increased risk for developing gum recession because the piercings can rub against the gums and cause irritation, which will cause the gum tissue recede. What are the Treatment Options for Receding Gums? According to the American Dental Association, if gum recession is caused by tartar or periodontal disease, a professional dental cleaning is the first step that needs to be taken to stop the recession. Scaling and root planing can also help those with periodontal disease because these procedures will eliminate bacterial tartar and plaque that can accumulate on the surface of roots and teeth, which will stop the gums from receding. However, if gum recession is severe, then an indiviudal may be an ideal candidate for gum graft surgery. According to the American Academy of Periodontology (AAP), gum graft surgery will repair the area as well prevent additional infection. What are the Types of Gum Grafts? There are three common varieties of gum graft surgeries, which include connective-tissue grafts, free gingival grafts, and pedicle grafts. A connective tissue graft is the most common type of gum graft. This type of graft is ideal when an individual will need one or more areas in the mouth treated. With this procedure, the tissue is collected from a flap of tissue that is on the roof of the mouth and stitched over the exposed roots. A free gingival graft is very much like a connective tissue graft, but a free gingival graft will take the tissue directly from the palate. A pedicle graft will use tissue that is alongside the tooth that needs to be treated. 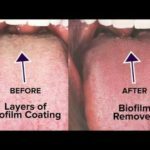 With this type of gum graft, human tissue that is donated and medically processed can also be used. A gum graft will not only stop gum recession and bone loss, it will also help treat tooth sensitivity to hot and cold foods and drinks. A gum graft will also safeguard the roots of teeth from root decay. Furthermore, a gum graft can also produce an even line of one’s gums, which will help those who are embarrassed by the appearance of their teeth. After a gum graft, you will be able to go home immediately after the procedure. However, it is important to keep in mind that a dental professional may administer a sedative to aid in relaxation, so an indiviudal who is having the procedure should arrange to have someone drive him or her home. An indiviudal will be provided with specific instructions about post-operative treatment. This could include diet, medication, and activity recommendations. After the surgical procedure, an individual should not floss or brush the area of the gums that were treated until healing is complete. A patient will be instructed to rinse his or her mouth will a mouth rinse to prevent plaque accumulation while the area is healing, and some individuals will be prescribed an antibiotic to prevent infection. For a few weeks after the procedure, a patient may be advised to eat a soft diet, which includes foods such as eggs, pasta, pudding, and yogurt. Cool foods, such as ice cream, may also be recommended to prevent swelling. The pain factor following a the procedure is dependent on what kind of gum graft was performed. When there is no tissue removed from an individual’s palate, there will be minimal or no discomfort. If tissue is removed from the palate, there may be minimal pain for a few days following the surgery. If you have gum recession and want to know more about gum grafting, contact us for more information.